Safa Abdulkarem Rawiah easily fits the description of “pioneer” and “groundbreaker.” And “leader.” Why? Because, in a patriarchal country where women face many challenges and are often forced into marrying too early, she is hard at work empowering … women! 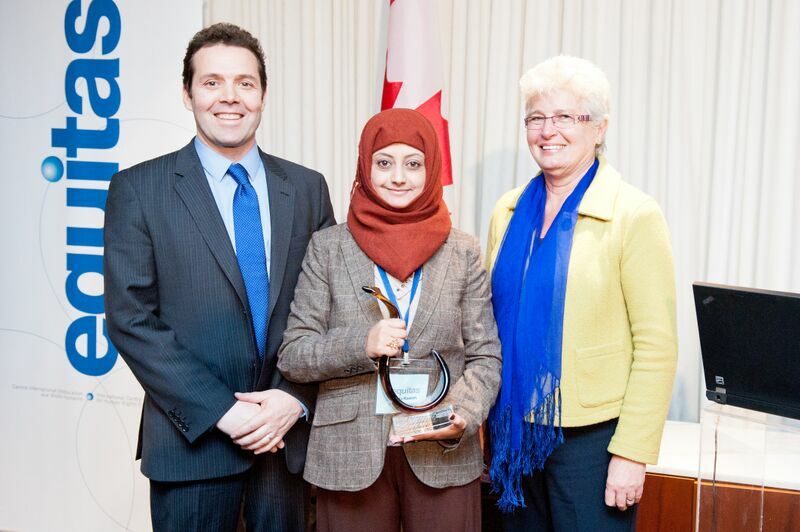 Safa is the Executive Manager for the Youth Leadership Development Foundation (YLDF) in Yemen. She oversees projects and teams working on youth empowerment and engagement, human rights, and, especially, female empowerment. “In our YLDF programs, we’ve tried to work on gender-based violence issues and to focus on early marriage, and we do that by developing educational and economic approaches to helping victims of gender-based violence.” Working for women’s rights is a mission that would daunt (or even defeat) many other leaders in Yemen. But 35-year-old Safa comes to it from very early exposure to a different way of thinking about women. She describes being raised in Sana’a, capital of Yemen, by parents —her mother in particular— who were deeply aware of the consequences of some of the country’s traditional practices and who worked at raising a daughter who would define her own path through life, rather than being held strictly to tradition. Safa is in the midst of a Master’s degree program at the Gender & Development Research Center, Sana’a University. She was a freelance consultant in development projects in Yemen, often evaluating programs created to empower Yemeni women. For three years, she was with the World Bank as a Program Assistant in financial management and rural development. In short, Safa Rawiah is not a newcomer to the fight for human rights. But is there a way to change it? 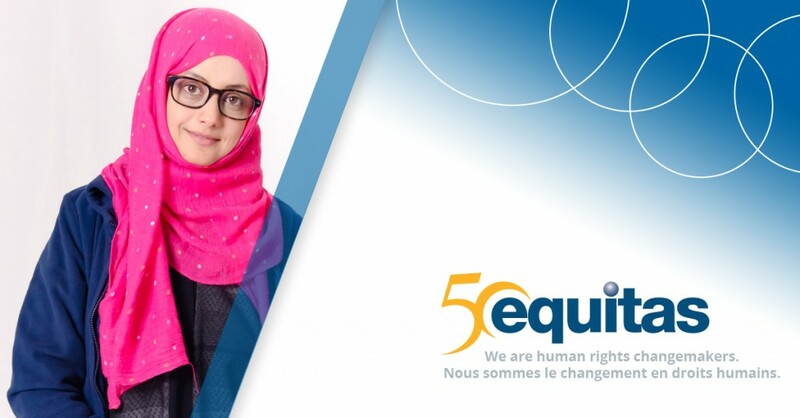 In 2014, YLDF received the Equitas’ Award for Human Rights Education to honour the exceptional work being done to engage and empower youth to bring positive change in their communities. Some of the YLDF staff and beneficiaries also took part in Equitas’ International Human Rights Training Program (IHRTP) in Montreal, Canada. Addressing the issue of children, early and forced marriage through the Equitas Mosharka project in the past two years, Safa says it is clear that the organization is succeeding. YLDF also brought in different actors around the table – including the ministry of education, local governing councils, youth groups, and larger organizations like UNICEF, Shaima, and Equitas – to help identify girls at risk for leaving school to encourage them to continue their education. Safa is proud of the lessons she and her group have learned along the way, including the importance of sensitizing local communities to existing cultural conditions that treat girls differently than boys, and engaging young men especially in these activities.